Located less than 20 miles from downtown San Antonio, the cave has come under increasing threat of urbanization. 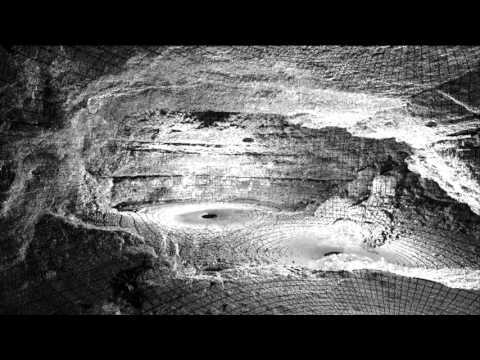 If not for the generous donations of BCI's members and friends, the cave and its remarkable bats likely would have been engulfed by subdivisions. Bat Conservation International (BCI) first purchased the land on which the cave is located in 1992. Since then BCI and our conservation partners have continued to purchase land around the cave to conserve not only the bats, but also the many other native and endangered species found on the Bracken Cave Preserve. BCI stewards the entire property, protecting endangered birds and rehabilitating the land by removing invasive vegetation and reviving native plants. 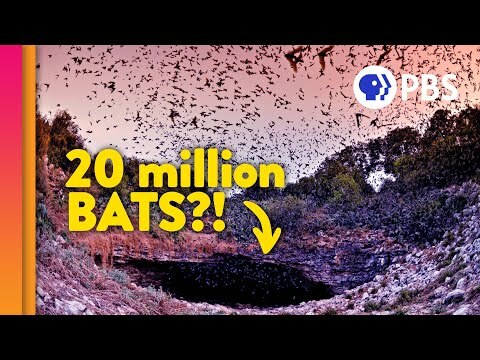 The bats of Bracken Cave comprise the largest known bat maternity colony in the world, producing millions of young each year. In March and April, expectant females return to Bracken after overwintering in Mexico. Most males roost elsewhere in smaller groups. In the latter part of June, females give birth to a single pup, nearly doubling the cave's population. As the bats give birth, cave walls become densely packed with naked pups, clustering tightly at up to 500 per square foot. Babies roost separately from their mothers. Before leaving her infant in the nursery with the other pups, each mother spends up to an hour getting acquainted with her baby's scent and vocalizations. When she returns, she accomplishes a remarkable feat: she finds her own young among the millions of others vocalizing and straining for attention. She nurses her baby at least twice a day. After four to five weeks, youngsters begin learning to fly under the most difficult of conditions. If all goes well on its first flight, a young bat drops into complete darkness, flies at a speed of at least 20 feet per second, and turns an almost complete somersault with millimeter precision to land on the cave wall just seconds after taking off. 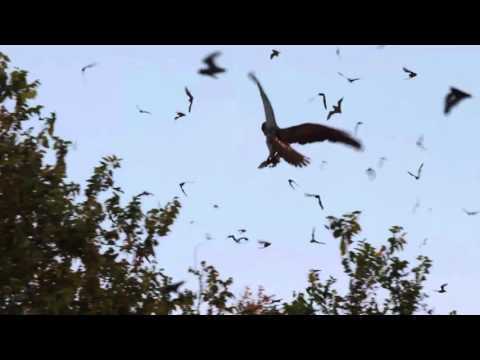 It must also avoid several collisions a second with thousands of other young fliers testing their skills, while at the same time relying on a echolocation system that is itself being tested for the first time. 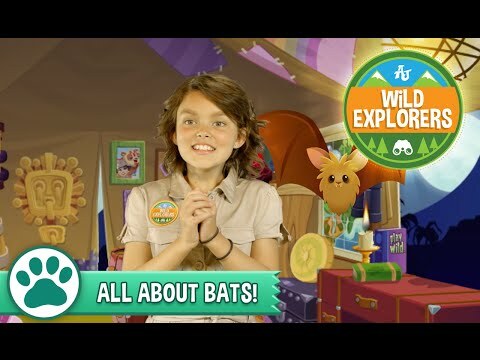 Collisions with other bats or cave walls can be fatal. An emergency landing is certain death; the floor is teeming with millions of carnivorous dermestid beetles that can reduce a young bat to a cleaned skeletown within a few minutes. Fatalities are high, and at least half won't survive their first year. By late July, young bats are ready to test their flight skills outside the cave, joining their mothers to feed on insects. Although they are weaned soon after, their initial energy demands are high, forcing nursing mothers to consume more than their body weight in insects each night. 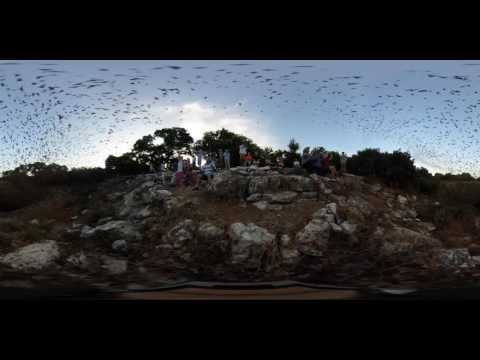 To find sufficient food, the bats often emerge up to three hours before sundown, creating one of the most spectacular sights in all nature, an event spanning several hours. 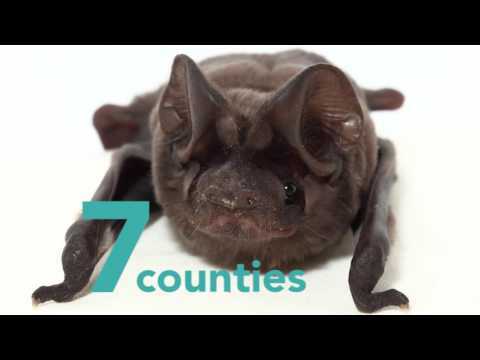 Baby Florida Bonneted Bat - bat facts! 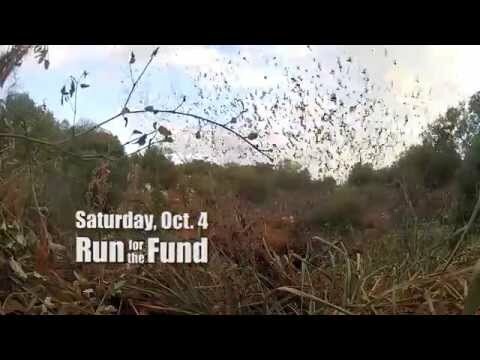 Fly through Bracken Cave like a bat!